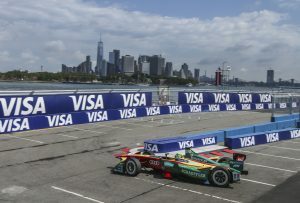 Team ABT Schaeffler Audi Sport’s Lucas di Grassi is the new Formula E Champion after securing a comfortable points’ finish in the season finale at the Hydro-Quebec Montreal ePrix. 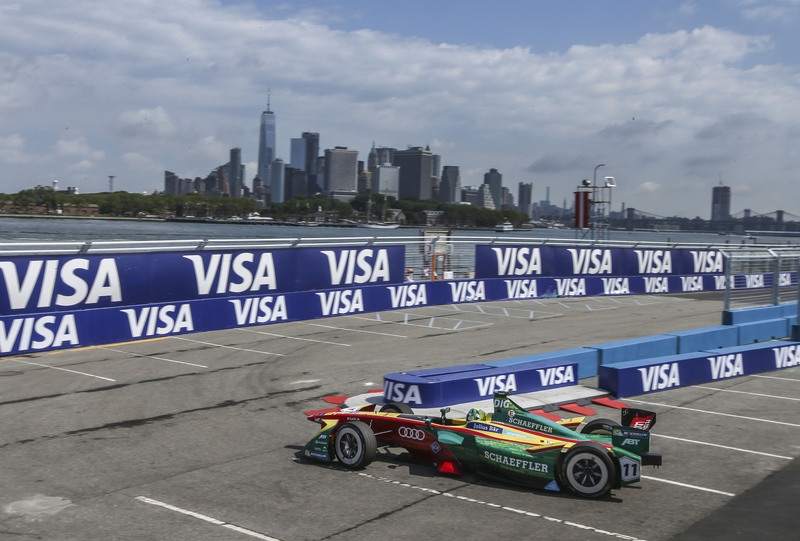 The Brazilian crossed the finish line in seventh-place, clinching his – and Schaeffler’s – first world title in the electric racing series. He overhauled championship rival, Sebastien Buemi, who led the standings going into the final round of the season, after a tough weekend. Team ABT Schaeffler Audi Sport finished runners-up in the overall team standings. As the exclusive development partner of the ABT Schaeffler FE02 powertrain, di Grassi’s title triumph is a proud and historic moment for Schaeffler. The company first proved its commitment to the innovative series three years ago and, with a title under its belt, it can celebrate its achievement as an electric mobility pioneer. 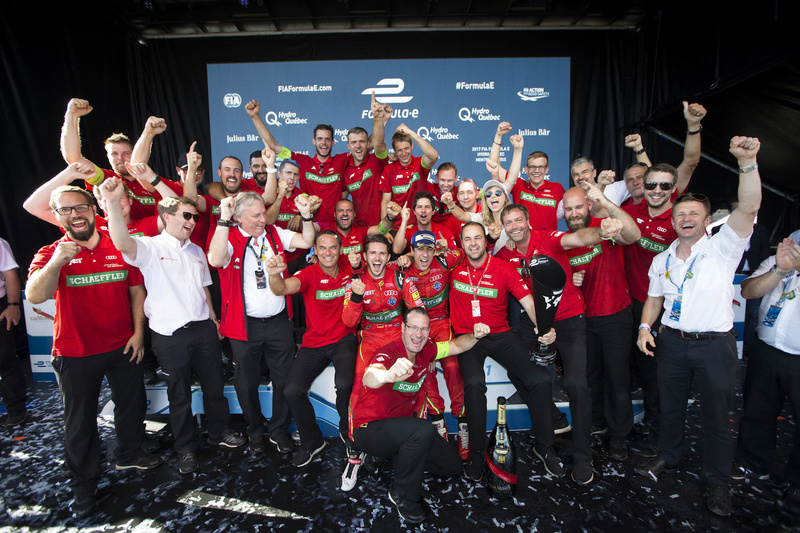 Newly-crowned champion, di Grassi, said: “I’m overwhelmed; now we’ve truly done it. Twice before we missed out by just a narrow margin. We’ve worked hard for this moment for more than three years. “I’d like to thank everyone on the team for their incredible commitment. We’re really like a family. Thank you to ABT, and a big thank you to Schaeffler, who, with its tremendous expertise, jointly developed a powertrain for our ABT Schaeffler FE02 that has made me a Formula E Champion. Schaeffler’s influence on the ABT Schaeffler Audi Sport team has grown over the last two seasons, following regulation changes, which has allowed the company to become heavily-involved in the proprietary development of the ABT powertrain, including the motor, transmission, rear suspension and control software. The tally at the end of the third season, not only reflects the first win of the drivers’ title, but also a total of seven victories, 24 podium places – the most of any team in Formula E history – and four pole positions. When Di Grassi takes to the grid in Hong Kong in December 2017, beginning the fourth season of Formula E as a reigning world champion, a new era will be upon the team after Audi announced its takeover. The announcement also included details of a three-year agreement between the vehicle manufacturer and Schaeffler; whereby, the two companies will work together to further develop the powertrain. Schaeffler’s commitment to Formula E complements its corporate strategy, billed as ‘Mobility for tomorrow’, with which the globally active technology group helps to shape the future of mobility.